1. Mobile-friendly search is an absolute must. 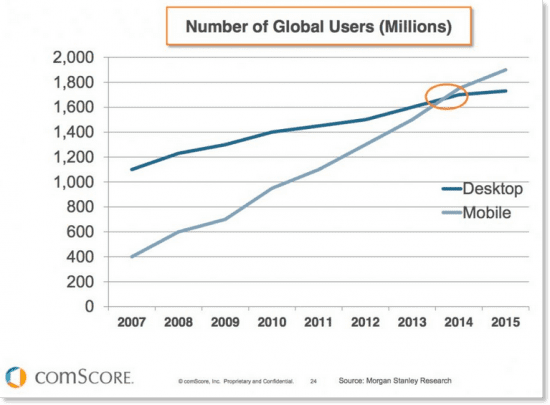 It’s been nearly three years now since mobile internet usage surpassed desktop worldwide, as illustrated in this graph published by Smart Insights. The number of mobile users continues to expand as desktop users contract, so savvy marketers are shifting their focus to enabling mobile-friendly searches. Companies that fail to incorporate a mobile-friendly design in their marketing plan will inevitably see their sites ranking well below mobile-friendly sites. How mobile-friendly is your site? You can easily Check it here. 2. Pop-ups will have a negative impact on site usability for smartphone users. In January, 2017, Google updated its mobile-friendly search algorithm to make smartphone visibility a ranking signal. Sites that continue to display annoying pop-up ads and promotions are sure to find that their content doesn’t perform as strongly in mobile search as it used to because of the impact these ads exert on site usability. 3. Mobile payments will no longer be the exception. People are becoming more and more comfortable with digital payment options, whether they’re buying goods and paying for services online or at a brick and mortar business location. In fact, fewer and fewer people carry cash anymore. The easier you can make it for people to pay for your goods and services, the better it will be for the growth of your business. Here are 25 digital payment options available to small businesses. 4. Digital marketing will continue going local. The mobile-friendly update we mentioned earlier has led directly to more effective location marketing – a very helpful development for localized businesses. With the launch of Google My Business, and the ability it offers for local businesses to seize upon consumers’ micro-moments, businesses will find themselves better positioned than ever before to deliver on their consumers’ “I want it now” moments. The future of success in business belongs to forward-thinking entrepreneurs who take advantage of the hottest trends and consistently find ways to capitalize on them. Every successful company in existence today thrives because someone recognized important current trends and capitalized on them. Whether you operate a local brick and mortar business or a global e-commerce retail outlet, the trends outlined here can significantly impact your business’s bottom line growth. The question is, how will you respond? To learn more about current business marketing trends and how they can impact your business, call on The Marketing Launchpad and take advantage of our years of ever-evolving marketing experience. We’re here to help ensure that your business continues to move forward in the second half of 2017 and beyond.